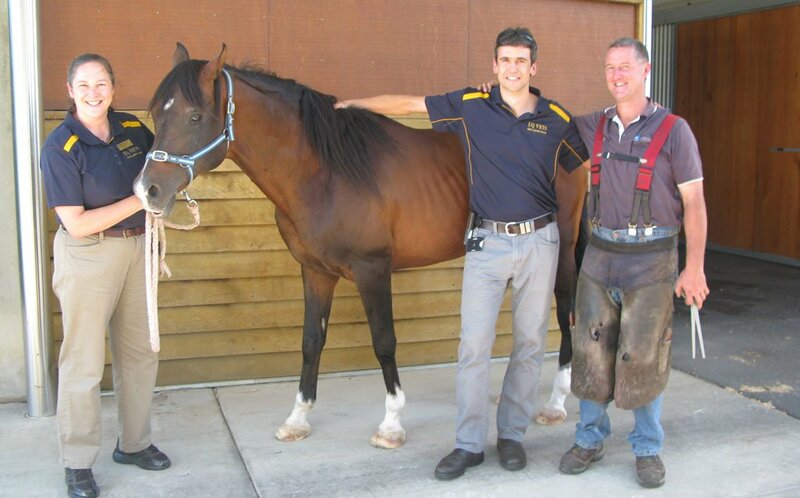 An educational program is helping horse owners and vets recognise and treat two hormonal conditions that are the most common causes of founder. “Founder often recurs and, although it can be successfully managed, it is rarely cured,” Dr Stewart said. The most common cause of founder is equine metabolic syndrome, or EMS, which is similar to type 2 diabetes in people and is caused by insulin dysregulation. Horses and ponies with EMS have abnormal fat distribution such as cresty necks and rolls of fat in their shoulders, sheaths and rumps. It is predisposed by genetics and frequently influenced by diet. The other condition, pituitary pars intermedia dysfunction, or PPID, was previously known as equine Cushings syndrome, and it affects one in five Australian horses and ponies over the age of 15 years. “Educating owners to recognise the early clinical signs, and to have annual testing of older horses can help promptly diagnose the condition,” Dr Stewart said, adding that signs of PPID in horses include long hair coats, loss of muscle mass, laminitis, lethargy and abnormal fat distribution, with the end-stage disease leading to complications that sometimes result in euthanasia.